!! Historic Homestead, Sheds and Farm Land !! Just Look at What we have found Here !! Yes this has it all. Historic Homestead, Shearing Shed, Machinery Shed, 119 Acres, Bore and massive Rocky Hill. The Homestead is your typical rambling old farmhouse but this one has a brand new kitchen! This is very rare property so deserves your inspection now !! Perfect small farm here! Immaculately presented homestead situated on 115 acres of rich red loam soils. Approx 100 acres are arable and correctly cropped for wheat. This homestead is surrounded by lush green lawns, stunning gardens and there is a swimming pool for those warm afternoons! The house features 3 large bedrooms plus a sleep out/games room or seperate study. The kitchen is modern and bright and a pleasure to work in. There is ducted evaporative cooling throughout. Contact Tony Maddox 0428 926 497. Almost an acre here with a massive 29m x 10.5m shed/workshop, plus a comfortable 3 bedroom house. You can live and work without traveling. The huge workshop, divided into 3 sections, has power & lighting connected, front large open area, central spray booth and rear workshop area. The home is a standard transportable 3 x 1 with lounge/dining/kitchen, enclosed front verandah and lanw & gardens. Neat and tidy 3 bedroom home with front lounge room and wall unit air conditioner. Separate kitchen with gas oven and stove. Bathroom has shower over the bath tub. Fully enclosed rear yard. First Class Rural Holding Here! Superbly located midway between Northam and Toodyay, this immaculate property boasts a massive residence, large workshop and shed, 2 stables and a below ground pool, all on a perfect 40-acre arable block. The homestead is huge! Hardy plank and iron construction with bull nose verandas to the front. To the left of the entry hall leads into the main living area with high raised ceilings and this a combined living/dining room and kitchen. This is a HUGE house!!! "Glenfield Homestead" Circa 1860. The early settlers certainly knew where the best location to build was! This magnificent location has absolute Avon River frontage. Nestled peacefully on 32 Acres of rich red loam soils. The old stone ruins are just something you will want to stop and look at. There is also a stone lined original well and a dam that fills in winter. Set on a the scenic and quiet Katrine Road mid way between Northam and Toodyay. Huge brick 4-bedroom 2-bathroom house. This impressive brick homestead is bargain buying! The home has a huge kitchen, separate dinning area, formal lounge room, huge main bedroom with robe and ensuite. Entry hall, 3 bedrooms in east wing, main bathroom PLUS – a separate huge games room and a double garage. A BIG HOME! A big pool and massive shed! BARGAIN TIMES! Along the passage to the east wing is the formal front door and entry hall. The shed with double sliding doors complete the picture! A fantastic 5 acre block with the house set way back from the road at the rear of the property. If you like stone walls then this is for you! The house is surrounded by rock retaining walls lovingly built rock by rock! The kitchen is modern with electric hot plates and wall oven, built in pantry and pine bench tops. The bathroom is neat and clean, has a shower recess and vanity plus toilet. This is priced to sell at $315,000 so be quick to view. !! Train Spotters Paradise Here!! This long 270m block has a total of 3.92 acres between the railway line and Julimar Road. Features all cleared pasture plus a large dam for catchment of wate. Located just 4 kilometres to Toodyay townsite plus it has a frontage of 280m directly onto the Railway line. If trains are your hobby then this property is ideal for you. OR it will make a great building block for your new house as it is close to town and shops. Services are all in the area. Drive by Julimar Road and the gates are open!
! Want A Challenge ! Now this block would suit the 'pole home' builder and then see the stunning results. The block is 3202m2 so there is plenty of room to build the home of your dreams and still have space around you. The views are right across town!! Power is available on the site and scheme water runs past. A level area has already been created for the driveway!! At this price this should be 'sold' quickly so inspection is recommended. WE HAVE A FOUND A VERY NEAT SMALL FARM!! 50 acres of Toodyay's best red loam soils complete with a neat 3 bedroom home set right at the back of the property, overlooking the entire farm. A very secluded location, private and peaceful. The farm has 6 paddocks all with shade trees for the stock and water troughs, 2 paddocks are suitable for cropping and hay production. The long driveway leads from the road down to the creek crossing then up the hill to the house and sheds. A very delightful home! We have found a stunning 5 bedroom 2 bathroom ultra modern home on a beautiful 5 acres block ready for you and the family! Located down by the river in West Toodyay just 6kms from Toodyay Townsite and a short stroll to the Avon River. This residence is Stunning. This is the complete package!! Ready to move into!! Contact Tony Maddox 0408 926 497. This is a beautiful property located just 3km to town in a very quiet area at the end of a cul de sac. The house will impress the most fastidious buyers. !! THE HOME IS HUGE !! All of the rooms are oversize, there is 4 bedrooms, 2 bathrooms, separate study, separate studio and massive family, lounge and kitchen area. Purpose built to nestle into the rear of the property with verandahs on all sides plus a massive entertaining area outside. The " RESIDENCE " Its a Dream Home. ‘Appleton House’ Circa 1899. Toodyay’s Pure Heritage. Lovingly restored to its glory days by the current owner ‘Appleton House’ offers the style and romance of a by gone era not found in today’s modern homes. ‘Appleton House’ is not a house it is a residence and your first inspection will show you the difference. History shows the property as being once part of the large holding “Westlands” being selected by the Magistrate A.N.Piesse for the fertile soils suitable for vineyards. The properties Date Palms being planted in 1908. Along with 5 magnificent Olive trees framing the Western side of the property. Privately located just 2km (a short stroll) from the Toodyay townsite. !!! Best Value in Toodyay !!! This Property has all the benefits including. 1. Close to Town. 2. Scheme Water. 3. Fantastic Views. 4. Huge brand new Shed. 5. 5 Useable Acres. 6. 2 Separate Living Areas. The home is a huge 4 bedroom 2 bathroom Ross Squire home with the extra games room. There are 2 separate living areas so the adults can entertain in the lounger room whilst the kids have the other area. The kitchen is very large with good bench space and the walk in pantry plus a dishwasher.
! Now Here Is a Challenge ! This 1200m2 Block is just covered in mature trees and shrubs from fence to fence. A Shady Haven here to build your dream home on. Very different to your normal town site block. The established trees and gardens give it a wonderful shady feeling. There is even an Old Railway Carriage hidden at the rear amongst the trees and a massive old Prickly Pear Cactus Plant that is like a Tree !! Located just a short stroll to the town site shops etc and only a walk to the town oval. This 4-bedroom, 2-bathroom home has had a make over with brand new paint inside, brand new carpets throughout, a brand new kitchen and appliances. Including 2 separate living areas. One is serviced by a split system air-conditioner. Kitchen compromises of a dishwasher, gas stove top and electric wall oven. Master bedroom with a built-in closet and is serviced by a split system air-con. Given the slowness of the present investment market and the current downturn in real estate sales generally, we were not expecting that our property would sell in such a short time. We did not count on the experience and dedication of your team which was superb. You discussed frankly how we might best approach the sale and established a clear rationale for pricing the property. 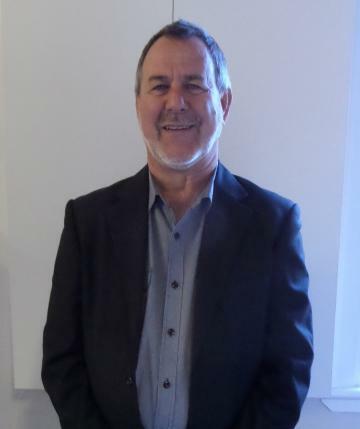 Bill Love provided the necessary dedication and support in presented and transacting the property, balancing our needs as vendors against those of the purchasers, adn at all times communicating clearly and concisely. His advice was excellent at all times. Judy and your back office team were invaluable in arranging local contractors and support, to ensure that we fulfilled our necessary obligations as vendors. Our experience was clearly that 'Tony's Team is a winning team" - thank you all for achieving yesterday's successful sale.